On Plastic parts and pump. NO REGISTRATION REQUIRED! Welcome to the impotence treatment options we provide from Encore Inc. We only carry doctor recommended F.D.A. 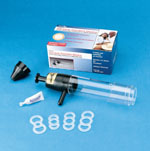 registered medical equipment for the treatment of erectile dysfunction. 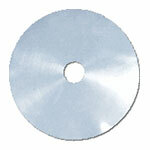 These products are approximately 90% successful and backed by manufacturer’s warranties. 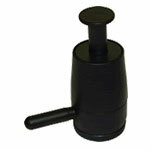 Vacuum Erection devices (V.E.D.) are recommended by urologists as the first line of treatment for E.D. Vacuum Therapy is non invasive, safe and proven to be successful. 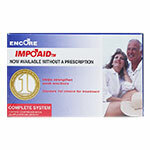 All Encore product listed can be purchased without a prescription. 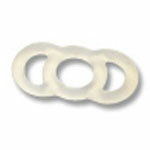 All Encore vacuum devices come with the patented ring ejection system which insures patient success. 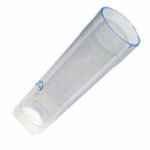 All devices come with a standard tube 8 -1/2 by 1-7/8 inches, which fits 99.9% of users. 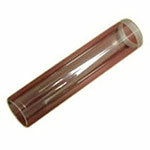 Over sized tube 10-1/2 by 2-1/8 inches can be ordered separately.